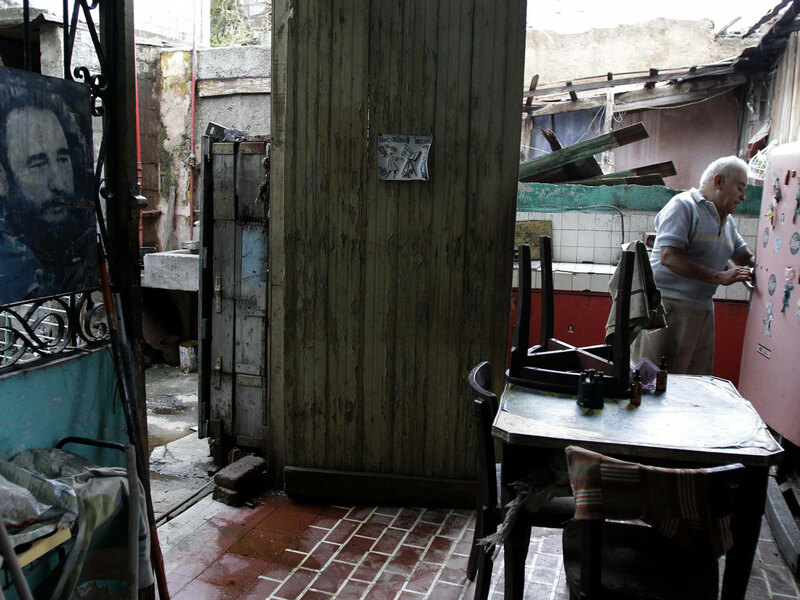 HAVANA Residents living in Cuba's second largest city still did not have power or running water restored four days after Hurricane Sandy made landfall in their nation. Hurricane Sandy is the island's deadliest storm in seven years, and has ripped rooftops from homes and toppled power lines. The death toll across the Caribbean rose to 69 on Monday. Sandy killed 11 people on the island including a 4-month-old boy, making it the deadliest since 2005's Hurricane Dennis, a category 5 monster that killed 16 people and did $2.4 billion in damage. More than 130,000 homes were damaged by Sandy, including 15,400 that were destroyed, Granma said. The storm also is blamed for the deaths of 52 people in Haiti, two in the Bahamas, two in the Dominican Republic, one in Jamaica and one in Puerto Rico. As of Saturday, the death toll in Haiti was 44 alone. Nineteen people are reported injured and at least 12 are missing. Sandy's center came onshore early Thursday just west of Santiago, a city of about 500,000 people in agricultural southeastern Cuba. On Monday, sound trucks cruised the streets urging people to boil drinking water to prevent infectious disease. Soldiers worked to remove rubble and downed trees from the streets. Authorities have set up radios and TVs in public spaces to keep people up to date on relief efforts, distributed chlorine to sterilize water and prioritized electrical service to strategic uses such as hospitals and bakeries. Roman Catholic charity Caritas Cuba reported that Santiago's cathedral, as well as the sanctuary of the Virgen del Cobre and another church were damaged. Venezuela sent nearly 650 of tons of aid, including nonperishable food, potable water and heavy machinery both to Cuba and to nearby Haiti, which was not directly in the storm's path but saw flash floods across much of the country's south.